The one thing you can look forward to every year that will ALWAYS happen, is the process of filing your taxes from the previous year. 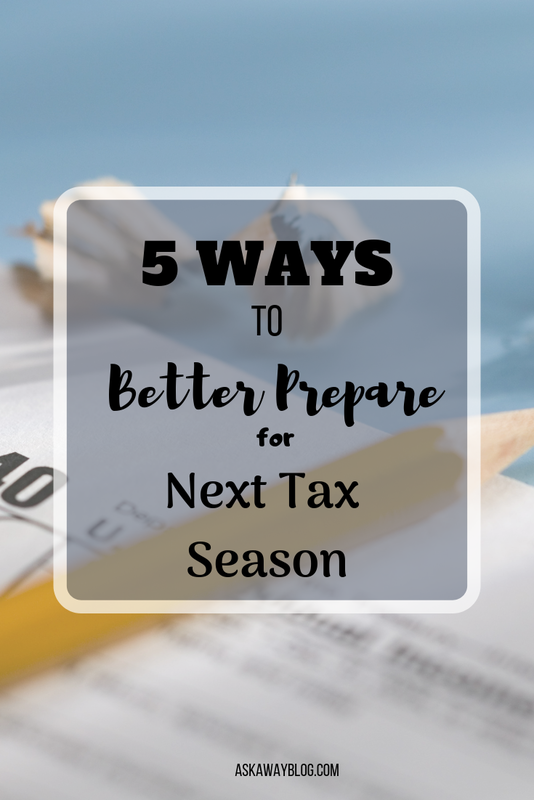 Whether you owe money or get a refund back, it's inevitable that you will have to deal with taxes at some point between January and April 15th. But for some reason, we tend to struggle with that fact and many of us are unprepared. As a result, we spend the beginning of every year rushing to gather receipts, proof of side hustle income, and making a payment to Uncle Sam. So I put together some tips to be more prepared for next year's tax season. Whether you have your own tracking system or you use an app or your bank's app, you want to make sure you're logging every transaction whether it's cash, check, or card. The method you use to track everything is completely up to you. Some people want to print out their own tracking logs and they use different colored pens, markers, or highlighters for the different categories. Some people like using an app like Mint which links up to your bank accounts so you can easily swipe and categorize your transactions. You can also use an Excel spreadsheet in order to create categories that automatically sum up your expenses each month. If you have a side hustle or you're self employed, you may notice that you owe a little bit of money at the end of the year for taxes. To prevent the surprise next year, make sure that with every payment you receive, you set a little bit aside somewhere to use towards taxes next April. Even if you think you need every dollar of the payment you receive, you will still be paying out taxes next year, so you have to choose to either get stressed about it next year, or start preparing now so you're better equipped to handle the tax bill. This one is very important because if you don't, you can't always prove certain expenses. So find an envelope and place your receipts in it. On each receipt, write what it was and the justification as a business expense or other tax write off. Better yet, LOG your expenses before you slip that receipt in the envelope. Group everything by category with a paper clip for each one. And as a reminder, here are some expenses that you can claim as a blogger at tax time. So each year we eagerly await our W2's and 1099's to come in the mail. But many of us also struggle to remember which of the companies we do side work for send W2's and which don't. So before the end of the year, make a list of all income sources and then research to see if they'll send a form or if you'll need to claim it as income without a form from them. 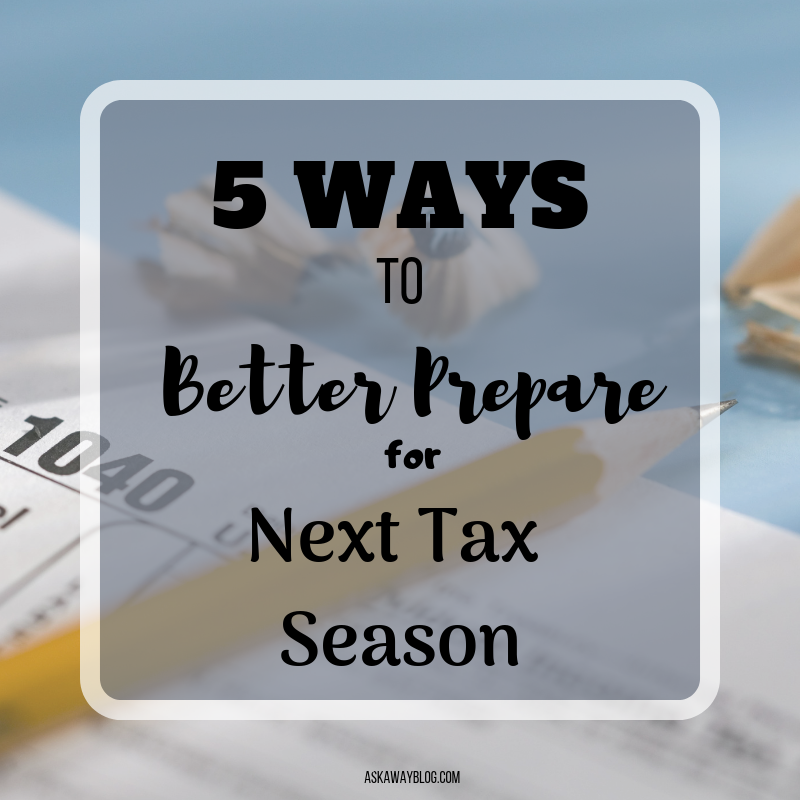 Then check off each form as you get it in the mail or as you compile the income from your paperwork throughout the year. The last thing you want to do is start to file and then realize you still haven't receive a form because you totally forgot about that income. That's why tracking income AND expenses is so important. Make sure that your tax status on your paychecks is correct (Single or Married) and that you are claiming the proper amount for withholding. There are calculators everywhere to see what you should adjust yours too but here's my favorite. The right amount can mean the difference between owing and getting a return but ideally, if you pay too much into taxes, even if you get it back, you're giving the government an interest free loan. Some people like getting that money back in a lump sum because it's a way for them to have saved it up throughout the year and that's totally fine. But some people want more money in their paycheck if that's the case. Either way, know what amount is right for you. The last thing you want to do is get into more debt trying to pay off your tax bill. And if you do - Mountain Ridge Associates can help you with debt consolidation so be sure to look into your options. I keep all my receipts.